Remember the monsters under your bed? Forget everything you thought you knew about monsters. This game has some awesome features which will guarantee you a win. 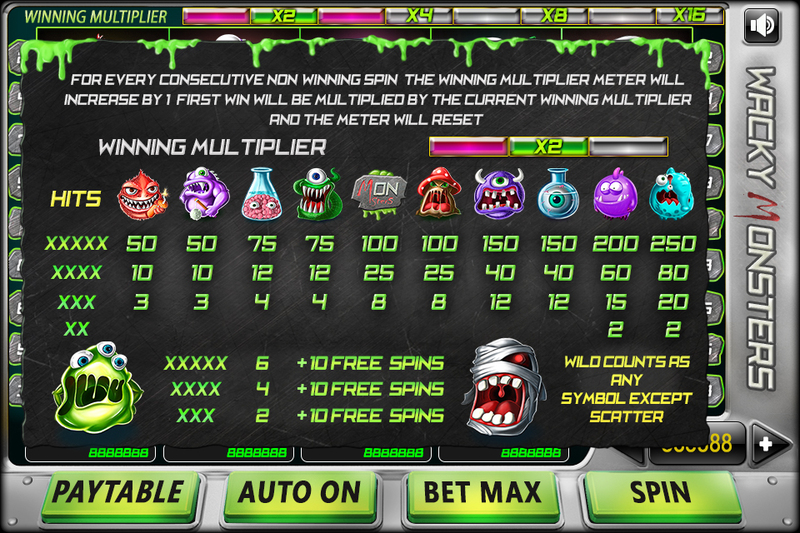 Introducing the wining multiplier – this cool feature will accumulate every non-win round up to 16 times to multiply your first win. 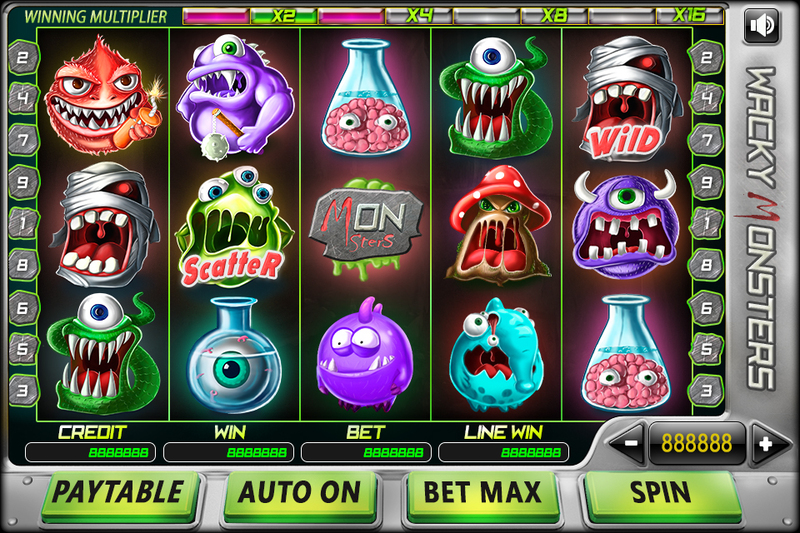 The Scatter bonus - By receiving 3 scatters or more you will receive 10 free spins!